I think that if I had to pick a favorite outfit in my closet this would be it. I mean, I literally wear this all the time. If you go to church with me, you've seen this bunches. Sorry, it's just too cute to spend all summer in the closet! 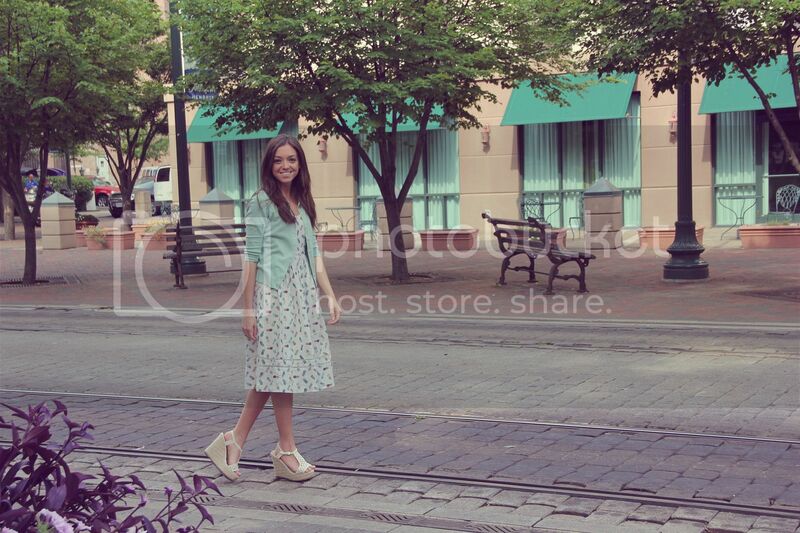 There are tiny pineapples all over the dress and it goes perfectly with my mint green cardigan. Oh, did I mention it has pockets? It doesn't get much better than this in my book. I absolutely love a cute pattern and pockets. 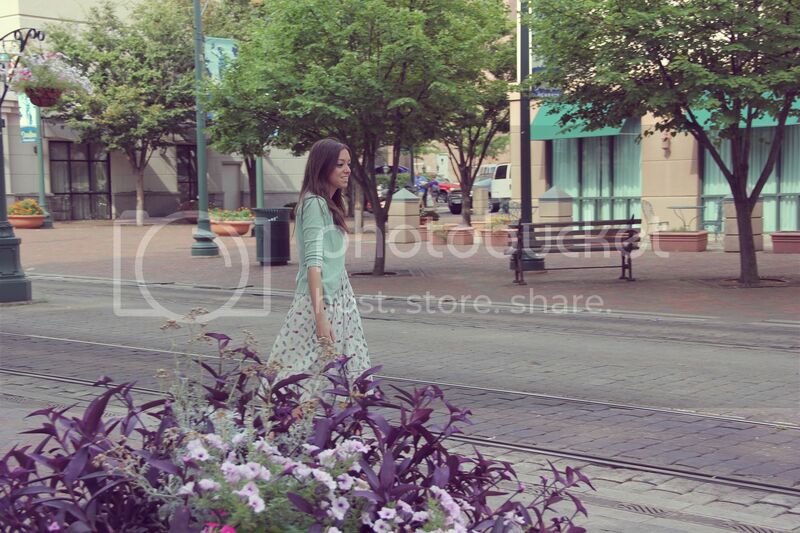 In case you were wondering, this dress is from Urban Outfitters last summer, and the shoes are from Target (shocker). PS. My regular photographer, aka my fiance Jeremy, got the day off! My Mom took these for me while she was in town. Thanks, Mom! So cute! Dresses with pockets are the best, agreed. I have a dress with little birds all over it - I just feel like patterns are so much fun in the summer! I love the length of this dress! So fun! This is so cute! Really like how you styled with a blazer. How cute are you? I'd wear this all the time too and I'm all about target everything, but have some of the best wedges from there. the outfit is precious! perfect for church and a cute lunch date! I really love those shoes! Are they new? If so, where did you get them!? !